Featured amenities include wired Internet access (surcharge), a 24-hour business center, and express check-in. Planning an event in Jefferson City? This hotel has facilities measuring 8182 square feet (760 square meters), including a conference center. Free self parking is available onsite. 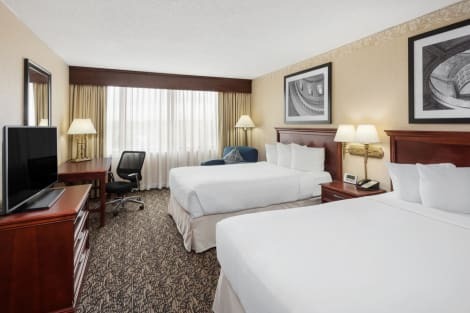 With a stay at Capitol Plaza Hotel Jefferson City in Jefferson City, you'll be within a 10-minute walk of Supreme Court of Missouri and Missouri State Capitol. This hotel is 31.2 mi (50.1 km) from University of Missouri and 0.6 mi (1 km) from Cole County Historical Society.